THIS WAY IN TO MUSIC is a digitally delivered music interaction program involves a yearly-released digitally streamed VIDEO format series of episodes. PLUS downloadable special-needs parenting resources. The Music Interaction program revolves around music-themed games and interpersonal socialisation learning for families living with disability, such as Autism, Asperger’s, Cerebral Palsy, Downs, MS, ABI and MND. Designed from over 20 years of special needs education music interaction by Australian Singer ALEX SMITH, along with Researcher and Producer/Director Connie May MHST, Special Needs Education Program Advisor Ric Davidson, and production support from Producer/Director and Sound Editor Ron Brown, this program will help parents better adapt to raising a child with a disability or communication difference or learning difficulty – physical, socially, psychologically or linguistically. All text, images and videos on this website are fully copyright protected. Reproduction of any kind of our proprietary program, materials, images, videos and content is a prosecutable offence. 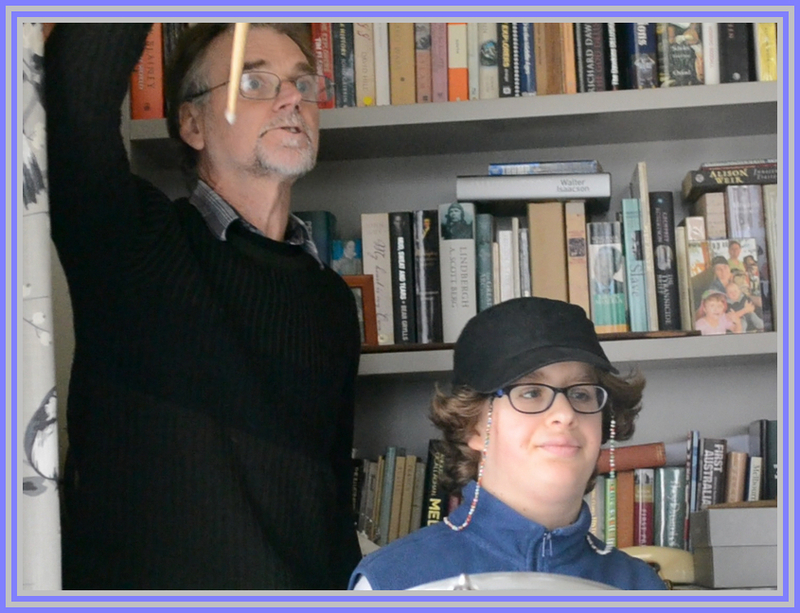 This Way In To Music: Music Interaction and “Social Music Therapy” for Families with Autism or Asperger’s, or other Disabilities including Cerebral Palsy, Acquired Brain Injury (ABI), MND, Multiple Sclerosis and Downs Syndrome. We have one simple mission: Transforming Families Through Music Interaction Sessions. To our team, this means REDUCING SOCIAL ISOLATION and INCREASING MOMENTS OF RELAXATION, CONNECTION AND JOY in the day to day lives of families living with diffability and children special needs. Each episode of this way into Music demonstrates fun, music-themed social interaction opportunities that have the potential for building comfort, connection and self-expression. The program evolves around innate attractions to rhythm, music and sound; an affinity which is present in nearly every culture and every human being (but not all). 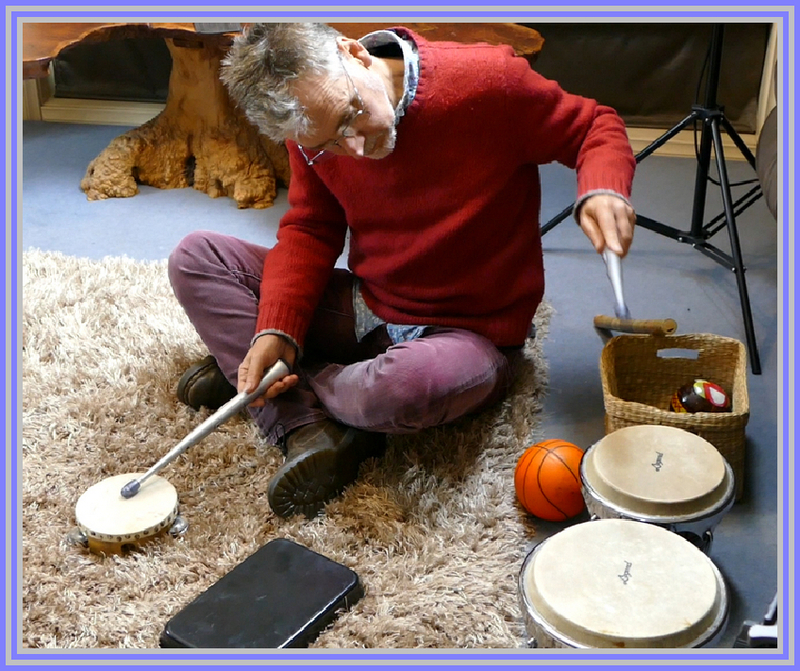 The Annual Series of THIS WAY IN TO MUSIC is targeted to run for at least five (5) years and to release between 30 to 60 session examples of Music Interaction Play Sessions. Our digitally-delivered Music Program for children with special needs will also provide other helpful resources, tips and links to assist parents, siblings, carers and educators helping children living with “DIFFABILITY”. A condition or developmental trajectory that results in neurological, social, psychological and/or physical differences. Recognised differences impacting the child’s cognition, communication, sensory perception, comfort, connection abilities and social skills. Potential difficulties bonding or engaging successfully with others in family, group or education settings due to differences in development including emotional, cognitive, physical or socialisation comfort levels. “This Way In to Music” PROVIDES suggestions for harnessing the power of MUSIC as a communication and social bonding tool. It can be used for nearly all types of diff-ability including pre-verbal or ‘non’-verbal conditions and for children with limited mobility. It is designed for use with children 3 years and up with the ideal range of participants being from 6 to 7 years of age to 18 or 20 years of age. 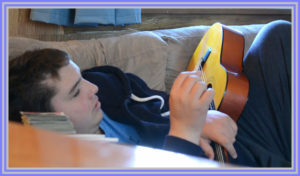 This Way In To Music is designed to assist families who face many challenges while raising children on the Spectrum of Autism, or who are wheelchair bound or challenged in social connection, self-regulation or communication abilities. This includes families raising children with Cerebral Palsy, Multiple Sclerosis or Muscular Dystrophy or MND, or who have other physical or neuro-developmental and communication differences, including Downs Syndrome and Acquired Brain Injuries or Spinal Injuries. Empowering SOCIAL CONNECTION experiences and COMFORT in new settings. One of the best potential outcomes of using Music Interaction for children with Autism or other DIFFABILITY is that participation helps individuals with COMFORT-FINDING in NEW situations (which may help reduce ‘meltdowns’). Parents also learn AWARENESS of subtle signals that indicate potential overload and NEW METHODS for managing stressful situations. This Way In To Music (TM) was developed by Australian musician Alex Smith, lead singer of the band Moving Pictures (original singer of “What About Me” and “Never” as heard on the Footloose sound track). Driven by personal experiences and a passion to inspire positive changes. A parent of a child with DIFFABLITY, Singer and Founder Alex Smith knows first hand the rewards – and challenges – of raising a child who has a different way of interacting with the world. But “where words fail, music speaks” as the famous saying goes. And that’s what we’re about – using MUSIC to communicate with children with diffability, in a fun, engaging and comfort-building way. Our Music Program Series – Music Interaction for children and families living with Disability or Difference such as Autism, Cerebral Palsy, MND, Multiple Sclerosis and ABI/Acquired Brain Injury or Downs Syndrome. Alex Smith’s music interaction program was launched with the assistance of Ric Davidson (Operations & Media Production) and Connie May MHST (Producer/Director, Community Collaborations and Project Lead). The first Episodes/Music Interaction Sessions of our Year 1 Series of This Way In To Music are targeted for digital streaming delivery by mid-2019. The parent support pack (“Adapt Pack”) will also be available in mid 2019 and the book is being finalised in MAY and will be published shortly afterwards. There’s also a printed and/or USB option for the Adapt Pack for PARENT RESOURCES and helpful reminders and quotes. What is Disability – and why do we prefer the term Diffability? Diffability is a difference in communication, sensory perceptions, cognitive processing or/or physical motor skills. Diffability is any condition that has an impact on social engagement and intimate connections between people in terms of attention, intimacy (connection) and mimesis. 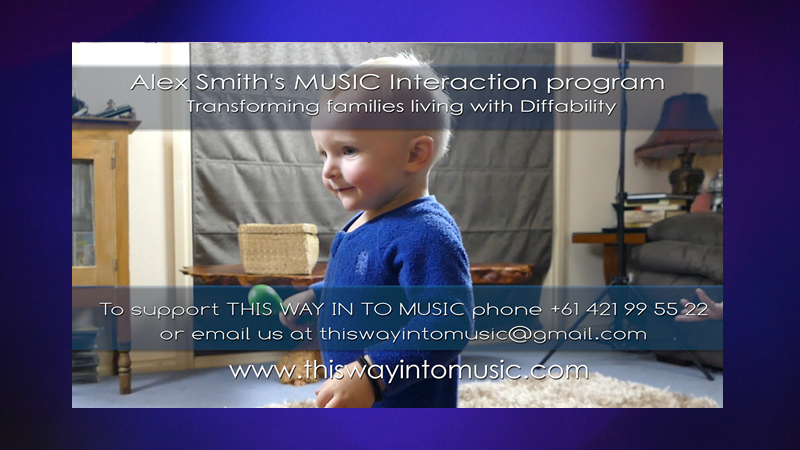 This Way In To Music by Alex Smith – Making a difference for families who are raising a child, or children, with cognitive, sensory or perceptive differences such as Autism or Asperger’s or Intellectual Disability and/or with physical disabilities including Cerebral Palsy, ALS Motor Neuron Disease (MND), Multiple Sclerosis or Traumatic Brain Injury (acquired brain injury or ABI). What it is: a powerful music-themed program for engaging children in socialisation within the family and education systems, using taskless, spontaneous and joyful music-themed experiences. It aims to reduce isolation and increase connection. It does NOT rely on instruments or musical ability and any family can learn to experiment with the music themed games and activities we show parents and teachers how to employ for the benefit of the child or children with communication challenges or physical disability. Our program aims to reduce isolation by providing fun, game-themed “task less” social opportunities using music as a form of engagement. It not only helps enhance family play-time dynamics, parents report it improves emotional connections (social intimacy) and self-regulation skills (comfort in new situations and melt-down prevention) through cognitive transfer. We are a group of musicians, educators and community activists for community changes in relation to families living with diffability. We believe that “where words fail, music speaks.” (Hans Christian Andersen quote/paraphrase). This Way In To Music (TWIM) program is being offered as a digitally delivered series that will be streamable over the web. You can also sample a stand alone session or you can request a UBS version (streamable options, however, are the most affordable delivery method and there’s no waiting time for delivery of available episoded). Each year, we release a series of SESSIONS to help parents use MUSIC INTERACTION with their own children. It is also a valuable resource that can be used by siblings, carers, other family members and teachers. This Way In To Music episodes are downloadable (streaming) starting in mid-2019. You’ll also get 10 additional downloadable resource sheets each year, that you can print out and use while you’re enjoying the program. It is fully adaptable to a variety of cognitive challenges, sensory and perception differences and physical disability conditions including for children who get around in wheelchairs. These are real-life music interaction session examples with real families. These show other parents the strategies and skills that Alex Smith and parents, siblings and teachers of children with disability use to create a joyful social experience with the distinct potential of cognitive skill transfer. This program has been used by Alex Smith and his team for over 20 years, and has helped to effectively engage children who are withdrawn, volatile, anxious or seemingly disinterested. For some children and families, This Way In To Music can also encourage improvements in the child’s attention or focus, eye contact, communication and comfort in new social situations. This Way In To Music (TWIM) is specifically designed as a resource for families living with children with Cerebral Palsy, Acquired Brain Injury (ABI), Motor Neuron Disorder (MND), or Multiple Sclerosis(MS). It is particularly helpful for families with children who are thought to be on the Autism Spectrum or who have other neuro-developmental or cognitive or perceptive challenges. It is designed for anyone growing up with a physical, emotional or cognitive challenge or a genetic disorder that impacts the way they communicate with – or engage with -others in the community. 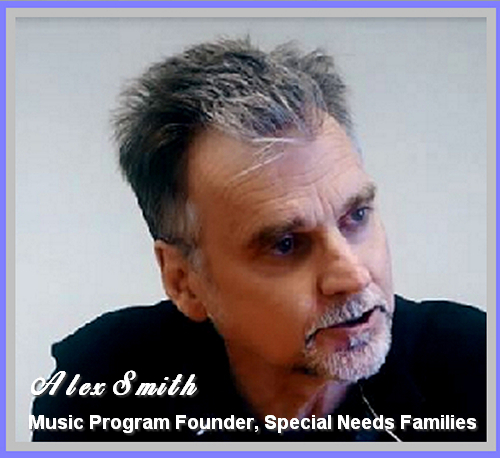 Lead Singer of the Australian band Moving Pictures, Musician Alex Smith has raised a child with Autism. He personally understands the challenges that families face when raising a child with a diffability as well as the struggles of siblings who often feel left out. He lives in Italy with his wife, Sophie, a sculptor. Prior to moving to Italy and founding This Way In To Music several years ago, Alex spent 20 years in Special Needs Education teaching others how to use the power of MUSIC, SOUND, OBSERVATION and CONNECTION to reduce social isolation for children and families adapting to conditions such as Autism, Aspergers, Cerebral Palsy, Muscular Dystrophy, Downs Syndrome, Acquired Brain Injury, Multiple Sclerosis and other neurodevelopmental conditions impacting socialisation, communication and temperament regulation. 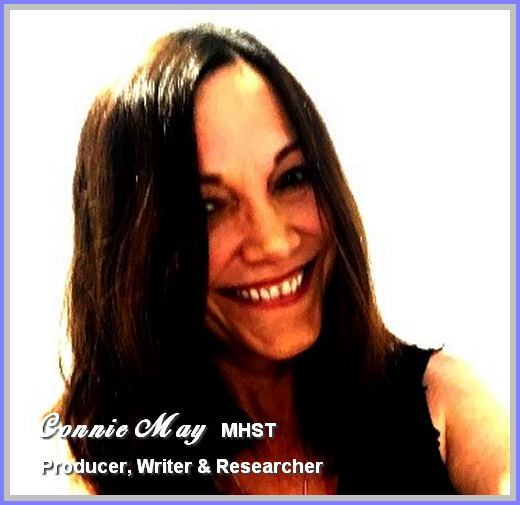 Connie May, MHST, is a Writer/Director, Videographer and Digital Marketing expert. Her background includes new program development, product service launches, and education in health care sectors. She has also pursued public health research and wellness-related content writing. She brings over 25 years experience in marketing, business development, community engagement and counselling. 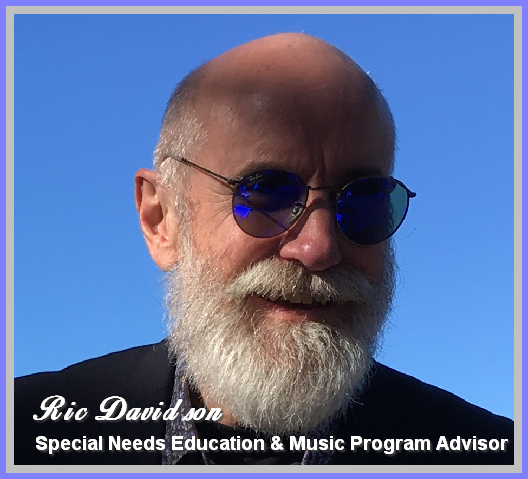 Ric Davidson has over 25 years in Education and has worked in Special Needs program development. He is an expert in film production/budgeting, special needs program solutions and program development. 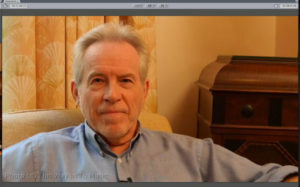 Supported by Ron Brown, Producer/Director, who has produced over 1500 films through his career. Parents and teachers find immense value in our music interaction sessions as examples to inspire curiosity and parenting-innovation to increase child-family and child-others engagement. They use our examples to increase social interaction through music-themed games to help children where a disability or condition such as Autism or Asperger’s or Cerebral Palsy impacts their ability to verbalise, communicate, socialise or be comfortable in new situations. Learning to find COMFORT in new situations MAY even help parents and children reduce overwhelm that leads to meltdowns. Based on 20 years of Special Needs Music Interaction education, and founded by Alex Smith, after researching, implementing and adjusting various ideas for utilising the power of music for families with children with special needs. We essentially show parents and special needs education teachers how they can harness the power of music – and innate traits of mimesis – for comfort, calmness, sustained attention and cognitive transfer in new situations. Contact us on +61 421 99 55 22 or by email if you’d like a downloadable catalogue of our products and to be added to our monthly e-newsletters featuring helpful tips for parents, teachers and siblings about using innovative music interaction strategies to help children with disability (diffability) and communication differences. Please click here for a list of services and TWIM music program products.